I’ve created a geeky masterpiece! 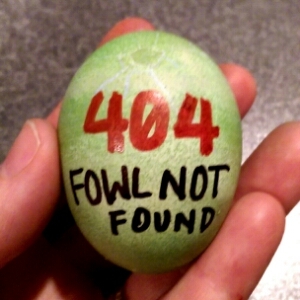 Behold, my 404 Fowl Not Found Easter egg. 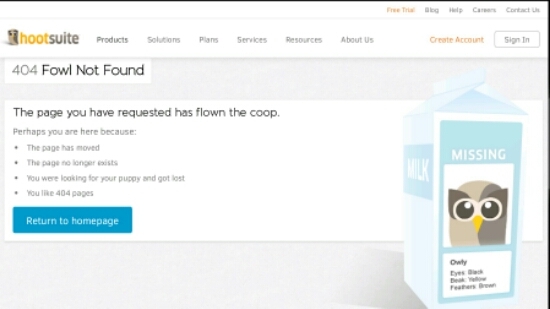 After I had my egg epiphany, I Googled ”404 Fowl Not Found” to see if it had already been done. As you can see, Hootsuite beat me to get idea, but I have the first (as far as I can tell) egg-carnation. 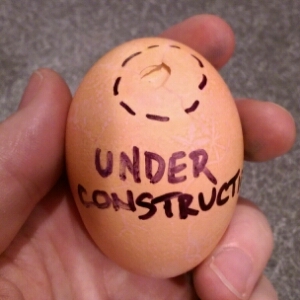 And as a parting shot, the ever-present under construction egg. It’s as maligned here in Illinois – state of constant construction – as it is on the interwebs.